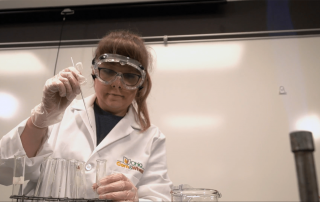 Here’s why some chose to don the blue jacket. 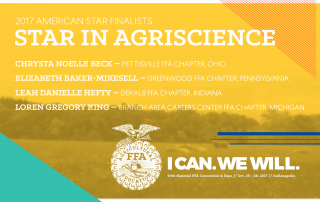 Finalists conduct an agriculture-based scientific experiment and report results. 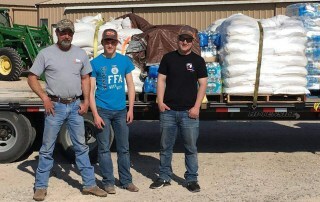 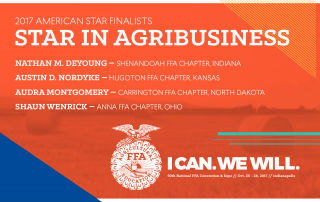 The American Star Awards, including the American Star in Agribusiness, are presented to FFA members who demonstrate outstanding agricultural skills and competencies through completion of an SAE. 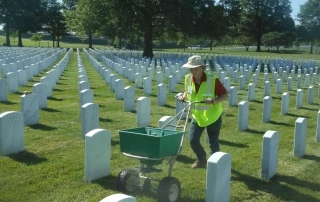 Landscape design students at the Knox County Career Center in Mount Vernon, Ohio, travel to Washington, D.C., to help landscape at Arlington National Cemetery.